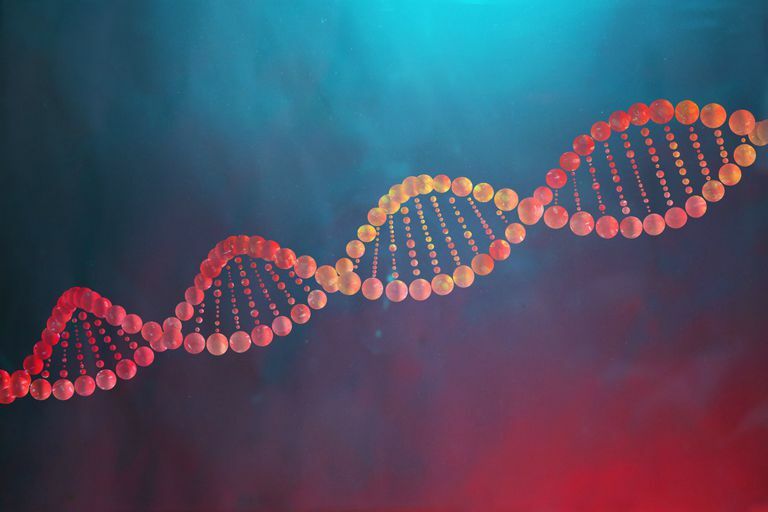 How is Junk DNA Biochemical Evidence for Evolution? The most interesting genetic homologies are in junk DNA. Often called "noncoding DNA," junk DNA has no apparent function or produce no protein but may help regulate the gene. When DNA is transcribed, pieces either do not get transcribed at all or are only partially transcribed, with no functional protein produced. You can cut out or modify most junk DNA without affecting the organism. There are several varieties of junk DNA including pseudogenes, introns, transposons and retroposons. The function of over 95 percent of our DNA is still a mystery. That is, we have spelled out the code, but have discovered that most of it does not code for proteins. Genes can be separated by a vast desert of noncoding DNA, which is sometimes called “junk” DNA. But is it useless? Probably not, because included among noncoding sequences are the crucial promoter regions which control when genes are turned on or off. The human genome has more noncoding DNA than any other animal known to date and it is not clear why. At least half of the noncoding sequence is made up of recognizable repeated sequences, some of which were inserted by viruses in the past. These repeats may provide some genomic wiggle room. That is, long stretches of noncoding DNA provide a playground for evolution. It may be a huge selective advantage to have all that raw material available to mutate and eithermodify existing traits and behaviors or express new ones all together. Humans are characterized by the ability to be flexible and to adapt quickly, so our junk DNA is potentially a priceless contribution to our humanness. Because they appear functionless but take up valuable chromosomal space, these noncoding sequences have been considered useless and have been termed junk DNA or selfish DNA. Recent studies, however, lend strong support to the possibility that the seemingly useless repetitive DNA may actually play a number of important genetic roles, from providing a substrate on which new genes can evolve to maintaining chromosome structure and participating in some sort of genetic control. Consequently, it is now out of fashion among geneticists to refer to these parts of the genome as junk DNA, but rather as DNA of unknown function. Whenever it's discovered that some sequence of junk DNA may serve some function, you may see creationists touting this as a demonstration that scientists don't know what they are talking about and so can't be trusted — after all, they were wrong in telling people that this DNA was "junk," right? The truth is, though, that scientists have long known that junk DNA may do something. Why is junk DNA so interesting? An analogy from the courts may prove useful here. Proving that someone has copied copyrighted material can sometimes be difficult, as in some cases you would expect the material to be similar since it covers the same topic or comes from the same sources. For example, phone number databases would be expected to be very similar since they contain the same basic information. However, one excellent way to determine whether something has been copied is if the errors in the source have been copied as well. While you could argue that, even if highly unlikely, the material is similar because it has a similar function, it is very hard to explain why some material would have exactly the same errors as some other material if it were not copied. Companies that sell products such as phone lists or maps routinely insert fake listings to protect themselves from copyright violations. The same can be said of DNA. It is hard enough to explain (if you don't accept evolution) why some functional pieces of DNA show great similarities. It is pretty much impossible to rationally explain why nonfunctional or erroneous DNA, would be very similar between different species. Why would genetic code that doesn't do anything and which clearly appears to be the result of mutations be similar, or in many cases identical, between different organisms? The only explanation that makes any sense is if this DNA was inherited from a common ancestor. Homologies between junk DNA are probably the most powerful of the homology evidence for common descent, as common descent is the only rational explanation for them. The mutations which made these genes inoperable are shared among the primates. It is important to keep firmly in mind that there are numerous mutations that can render a gene nonfunctional. Not only do primates have pseudogene versions of these genes that are functional in other creatures, but these pseudogenes have been made nonfunctional by the exact same mutations — they have the exact same errors in the genes. This would make perfect sense if this genetic material was inherited from a common ancestor. Creationists have yet to come up with a rational alternative explanation.